We are NOW Accepting PayPal as another means of a convenient way to pay. Thank you. Regal Photo Albums are no longer available and have been discontinued by the manufacturer. Photo Galleries and Folios are also made from the finest simulated material available with or without embossing. Available in Standard, Custom, Superior, or Designer Photo Galleries. Many are made to coordinate with a photo mount of the same or similare name. Introducing Our NEW Pioneer Scrapbook and Pioneer Photo Album Category Sections. We are Happy to Include these Photo Albums in Our Website. Here you will find Bi-Directional Photo Albums, X-Pando Pocket Albums, Magnetic Albums, Ledgers and Scrapbooks. NOW 15% OFF ALL Pioneer products through July 31, 2018. 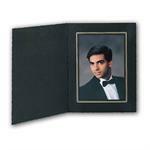 We Also Offer a Complete Line of Self-Mount Photo Albums. Made from bonded or simulated leather, this line of products is designed for digital and conventional photographs. With an easy Peel & Stick adhesion process, this is a very economical way to mount any and all types of pictures in a book-bound style look photo album. In this section, TAP Photo Folders, you will find a vast array of Photo Mounts, Budget Folders, Cardboard Folders, Certificate Holders, Easels, and products for Proofing. Peel and Stick Folios are an easy and fast economical way are an easy and fast economical way to mount your photographs for an elegant display in a Book-Bound Style Photo Album. CD and DVD Cases are made from the finest simulated leather material available. These CD and DVD holders come in a variety of colors in either vertical or horizontal or single or double format. Also available are beautiful "Our Wedding" Embossed covers. This particular CD / DVD holder makes a perfect compliment to the bride and groom's wedding album. And yet other holders are available with 2"x2" square openings for a cover picture. Plaques and Certificate Holders are the perfect way to display that cherished Certificate or Company Award. Eight different types are available. and Custom Imprinting. Personalize most any photo album with a Name and date, and with your Company Logo with our in house Custom Imprinting. 34 Aluminum Dies are also available to add a unique and personal touch to almost any album. Furthermore, most folders sold on this website have the option of Imprinting as well. Renaissance Library Bound Wedding Albums are made from the finest Materials. Each Wedding Album is a Masterpiece of Art Skillfully Hand-Made Ensuring Your Memories will Last a Lifetime. Renowned for the Superior Craftsmanship, These Wedding Photo Albums are Very Popular with Brides and Professional Photographers. Renaissance Milano Wedding Albums are Made From Durapelle. This Album has a Unique Removable Page and Slip - In Style Mat configuration with over 80 Mat & 5 Color Combination's; Sizes: Large 10x10; Page Capacities: 12, 15, 20, and 25; Medium 8x8; Page Capacities: 12, 15, and 20; Small 6x6; Page Capacities: 12, 15, and 20; Requires Pages and Mats SOLD Separately. Ventura by Renaissance Self-Mount Professional Wedding Album; Simulated Leather; Cover Colors: Black, Red, Distressed Brown, Baby Pink, Baby Blue, and White; Page Capacities: 5, 10, 15, and 20; Sizes: 2x3, 3x3, 4x5, 4x6, 6x4, 5x5, 5x7, and 7x5; Plain or Window for 8x8, 8x10, 10x10, 11x14, and 12x12; Perfect for Baby Pictures and Parent Books.Bella Black or Ivory Library Bound Slip-In Album ( No Mats Required ); 4x6, 5x7, 8x10, 10x10, 12x12, or 11x14; Plain or Window; Page Capacities: 12, 15, or 18.